The group of neighborhoods that make up the Back Bay community are located in the Eastside Section of Costa Mesa. Eastside Costa Mesa is one of five distinctive sections of Costa Mesa, California. The Eastside section takes in all the land on the southeastern side of the 55 Freeway. The official borders are the 55 Freeway on the south and east sides to the city of Newport Beach. 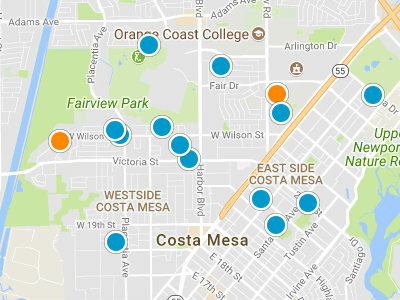 The Eastside is the most popular area for looking for homes in Costa Mesa real estate market. It can also be the most expensive area in Costa Mesa. Eastside Costa Mesa is close to Newport Beach, is in the same school district and just two to three miles from the beaches and Newport Harbor. The Eastside is also home to Old Town, which located on 17th Street. 17th Street is home to many local boutique shops and restaurants. Located next door in Newport Beach, is the highly distinguished Hoag Hospital. Which is both a major employer and the top local medical center and hospital. Back Bay Meadow Condos is fabulous condo complex with a terrific Eastside Costa Mesa setting. These are three bedrooms, two and half bath condos, with a 1,400 square foot floor plan. The condo units in the Back Bay Meadow complex are priced in the 400,000 dollar to the 425,000 dollar price range. This complex was built in 1986. Back Bay Village Sunrise Condos are small condo complex. Back Bay Village Sunrise was built in 1975. These are three bedroom condos with two or three bath options. Each unit has an attached two car garage. The square footage is approximately 1,750 square foot. The condo units in the Back Bay Village Sunrise complex are priced in the 550,000 dollar price range. The many neighborhood amenities include a community pool and spa. The complex is adjacent to the Upper Newport Back Bay, for a large array of outdoor recreational activities and fabulous views. Bay View Terrace Condos are a fabulous condo community. This condo complex was built in 1980. All condos have an attached two car garage. The Bay View Terrace floor plans feature three bedroom and three bath floor plans. The square footage ranges between 1,900 square feet and 2,000 square feet. The Bay View Terrace Condos are priced in the 600,000 dollar to the 650,000 dollar price range. 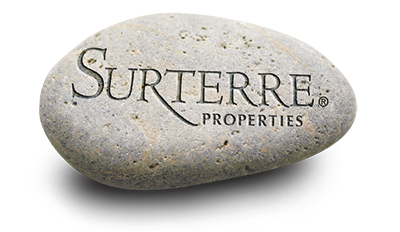 There are many wonderful amenities in this condo complex including a community pool, spa and tennis courts. The students in this area attend Kaiser Elementary School, Ensign Intermediate School and Newport Harbor High. The Back Bay Village Condos are all about their fabulous location. Residents of Back Bay Village are very close to Newport’s Back Bay. Residents can enjoy the many trails of Back Bay and the Upper Newport Bay Nature Preserve. The Back Bay Village Loop is a townhouse neighborhood. This complex was built between 1986 and 1987. These are three bedroom townhomes with three baths. The square footage ranges from 1,300 square feet to 1,425 square feet. Each unit comes with an attached two car garage. One of the most wonderful features of these townhomes is the large yards, some of the yards have landscaping and hard--scape designed by locally well known Rogers Gardens. Townhomes in the Back Bay Village Loop are priced in the 440,000 dollar range. Among the many neighborhood amenities are a community pool and spa. The Eastside is a highly desirable area in the Costa Mesa real estate market, making the Back Bay community a popular choice.